Apple and Samsung might be good at creating touchscreen smartphones that all look very similar, but if you are looking for something a little more unique and quirky then the RoboHon Smartphone is definitely that. Rather than taking the form of a thin rectangular device equipped with a large touchscreen, the RoboHon Smartphone takes the form of a small robot that you carry with you in your pocket. RoboHon is capable of providing all the features you would expect from a smartphone as well as providing a few extras such as a projector and animated movements when a notification or alarm is sounded. Watch the video below to learn more about this cute and very unique smartphone that is capable of walking, dancing and sitting as well as catching your attention by waving its arms in the air. 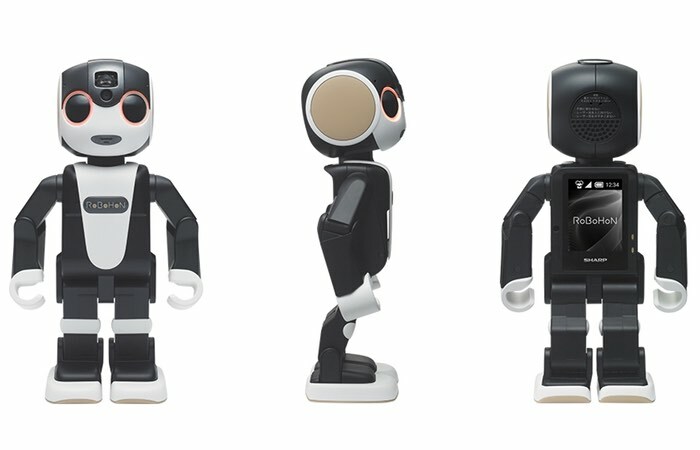 If you are interested in purchasing a RoboHon Smartphone will be available within Japan during the first half of 2016, although no information on pricing or worldwide availability has been released as yet.